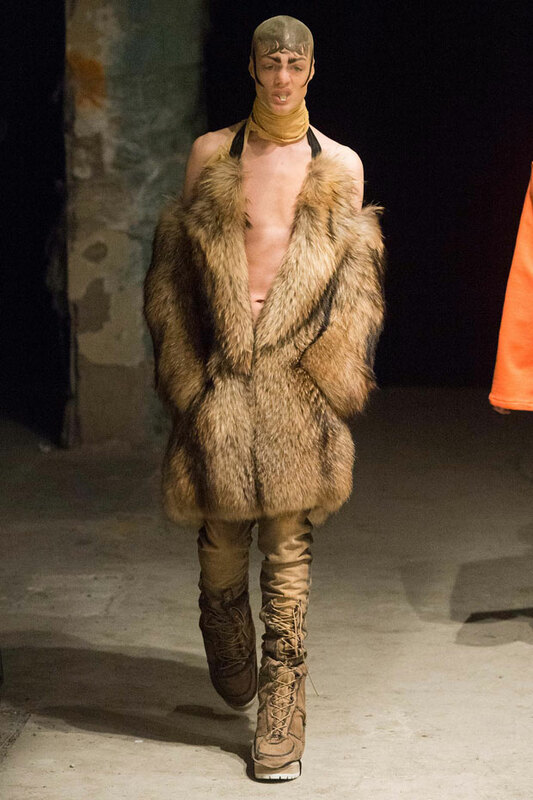 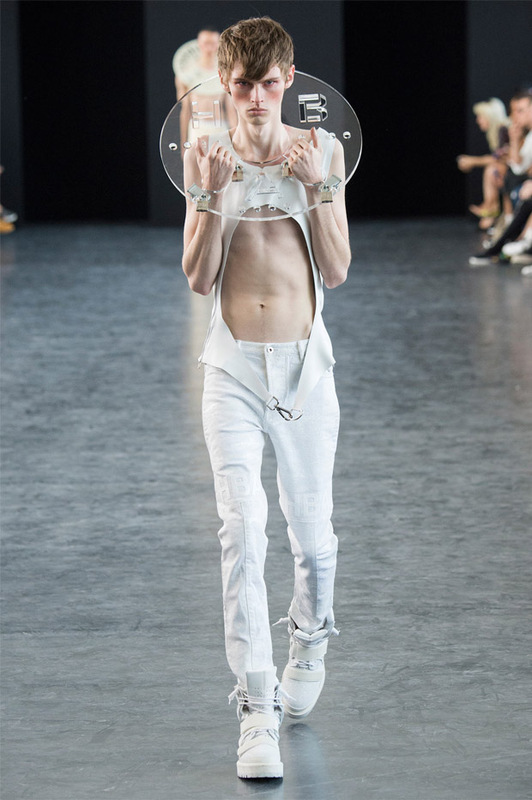 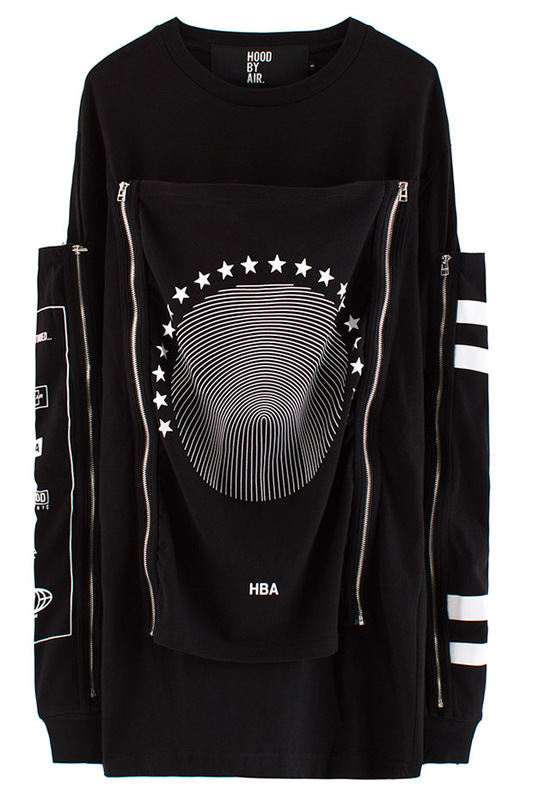 I have already wrote about Hood by Air as one of the most promising young brands of Ready To Wear. 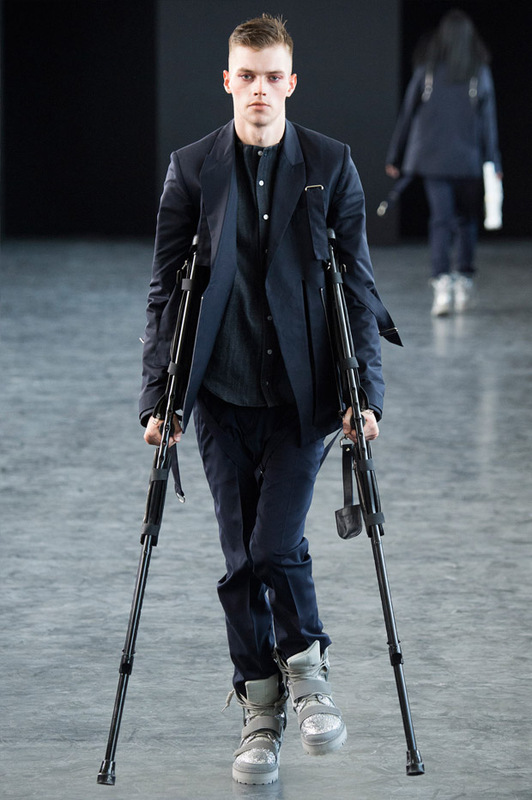 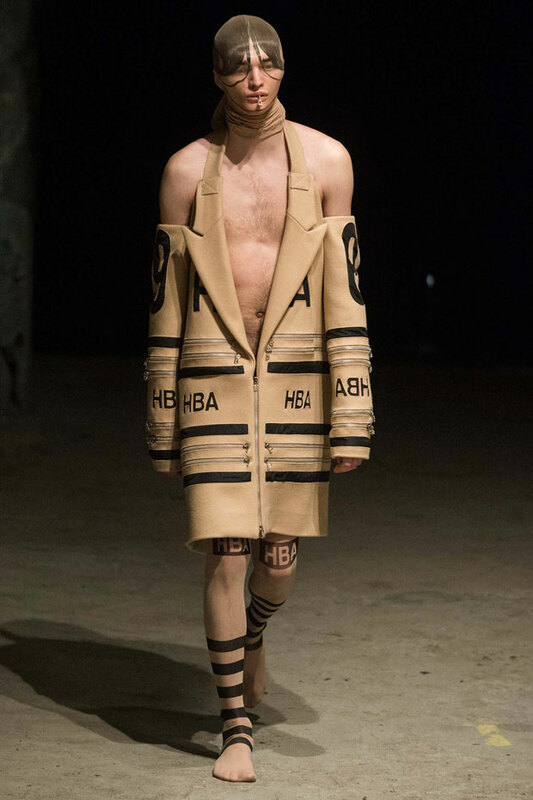 Now that HBA showed their latest work at NYFW, I’m even more excited. 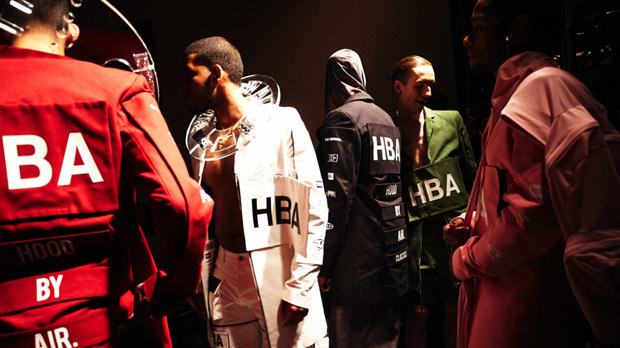 It seams that HBA’s creative Shayne Oliver succeeded to take it to the next level. 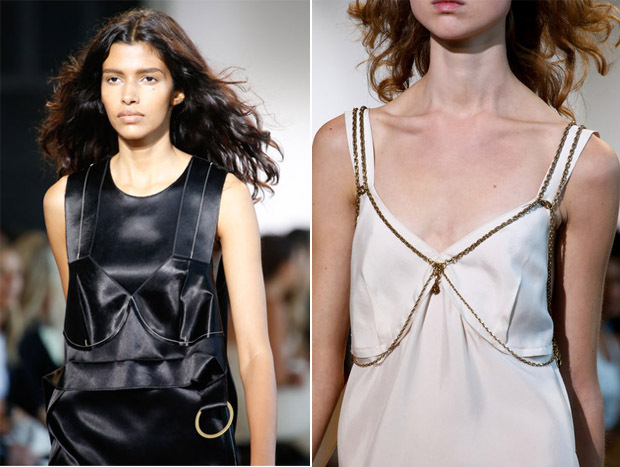 The brand grows up every season, and it grows nice! 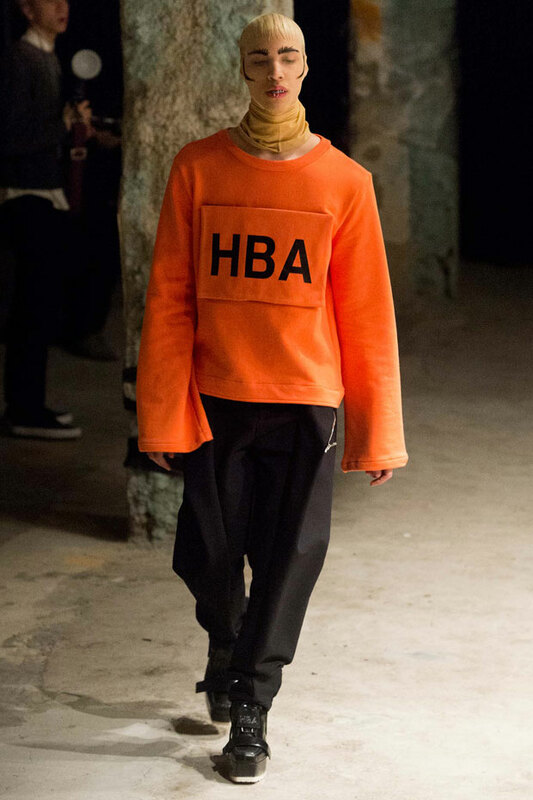 For Fall 2015 season, anyone can note a well-grounded approach to androgynous streetwear which is already a HBA signature feature. 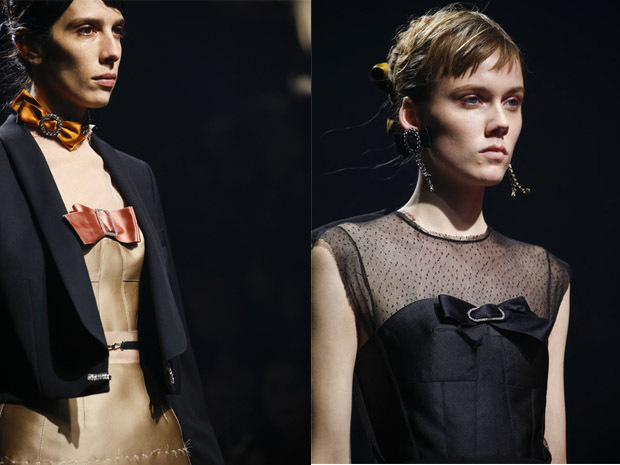 While some pieces look really avangarde, the clothes are still wearable and highly desirable, paired with a perfect styling. 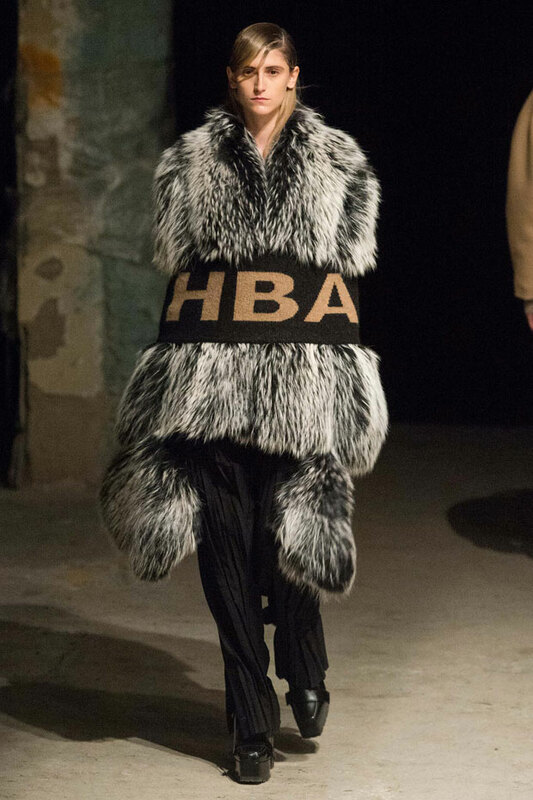 Take the large pleated trousers, the deconstructed fur coats or the cut-out pieces – everything in this collection looks absolutely amazing. 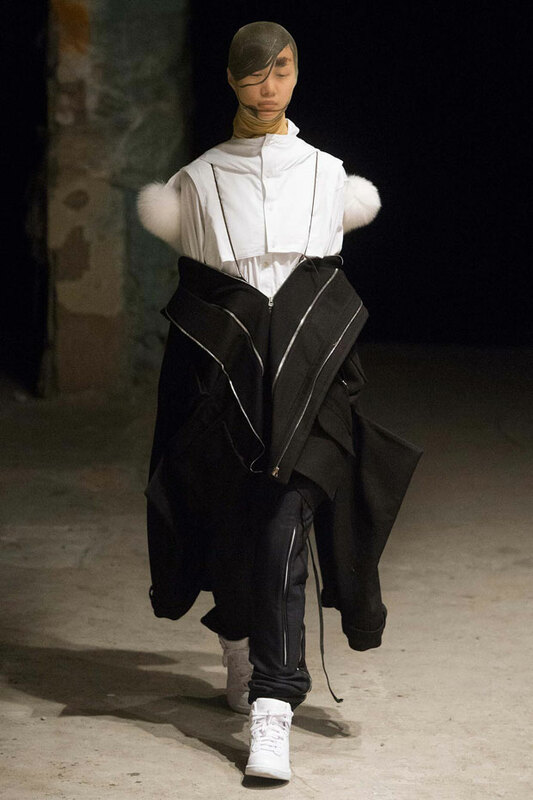 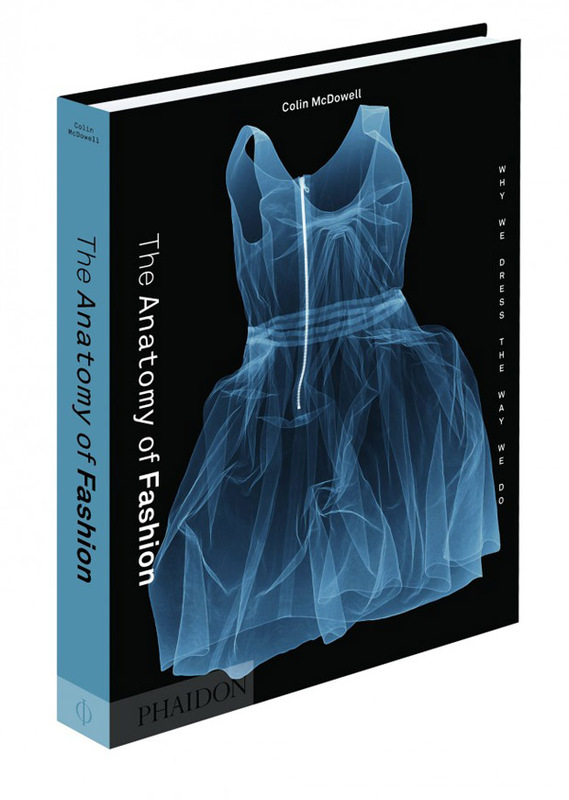 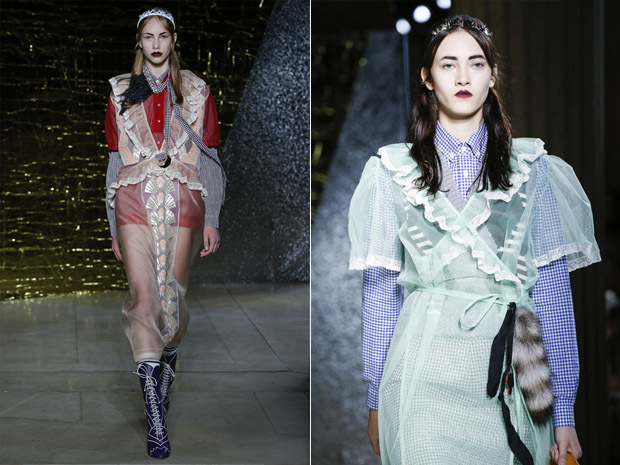 Of course, a fashion nostalgic would say that some outfits recall former Margiela or Kawakubo styles. 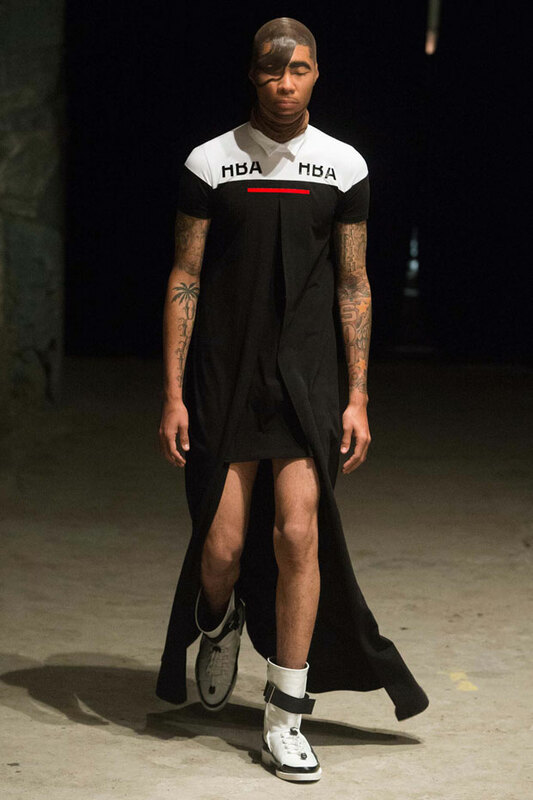 But that era is dead and Shayne Oliver knows well how to use all references and put them into a winning formula. 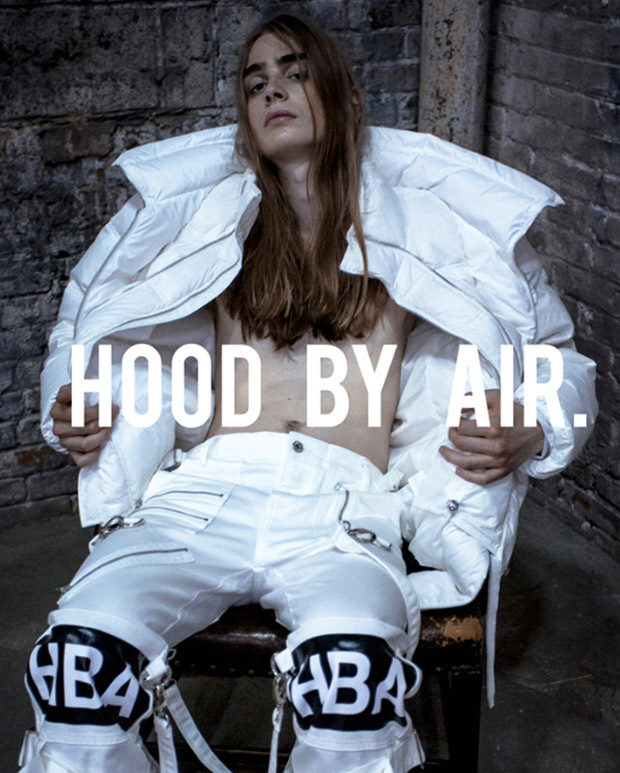 At the end of the day, Hood by Air is a genuine streetwear label. 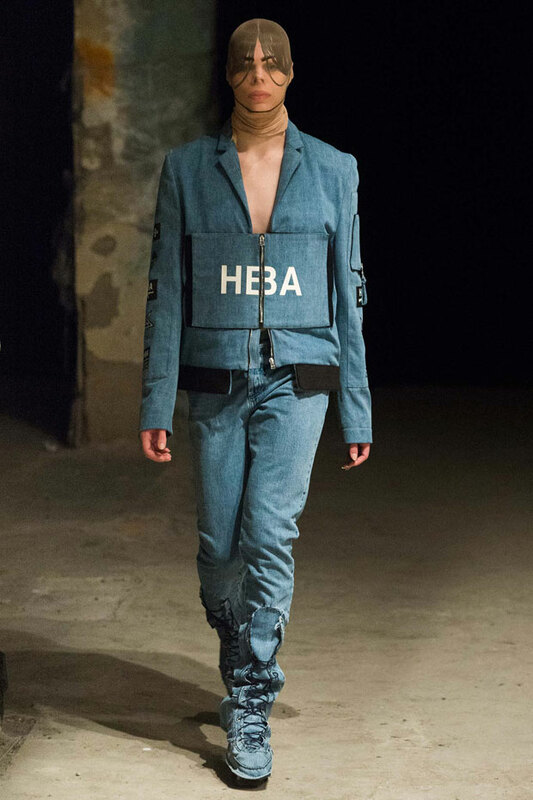 It is about what real people would really enjoy to wear. 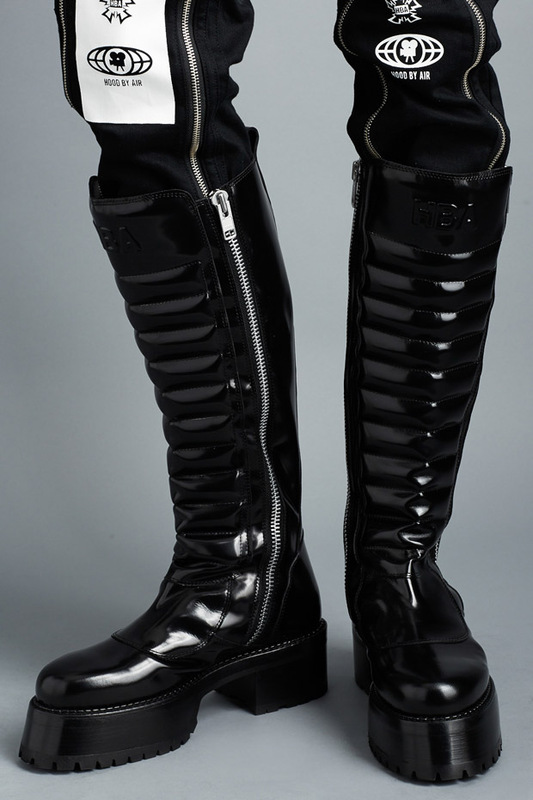 The shoes are stunning again, especially the way they melt with the pants. 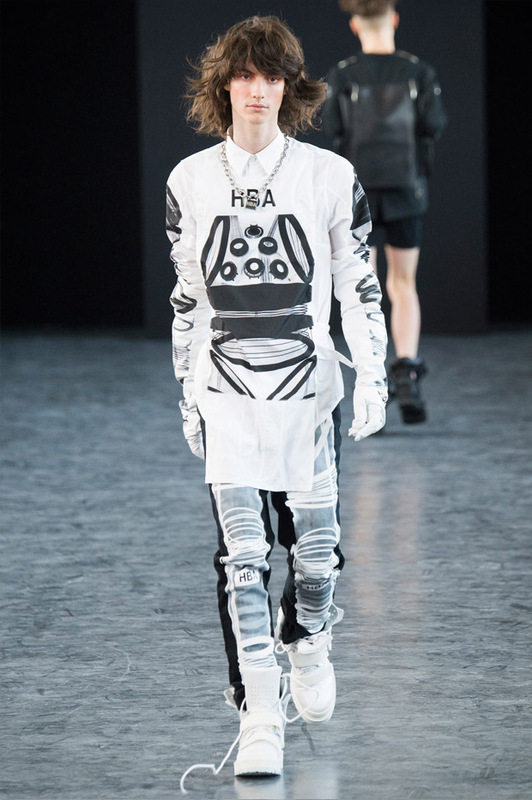 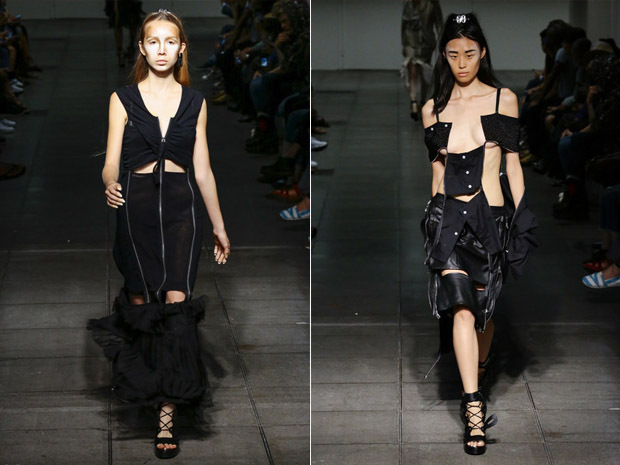 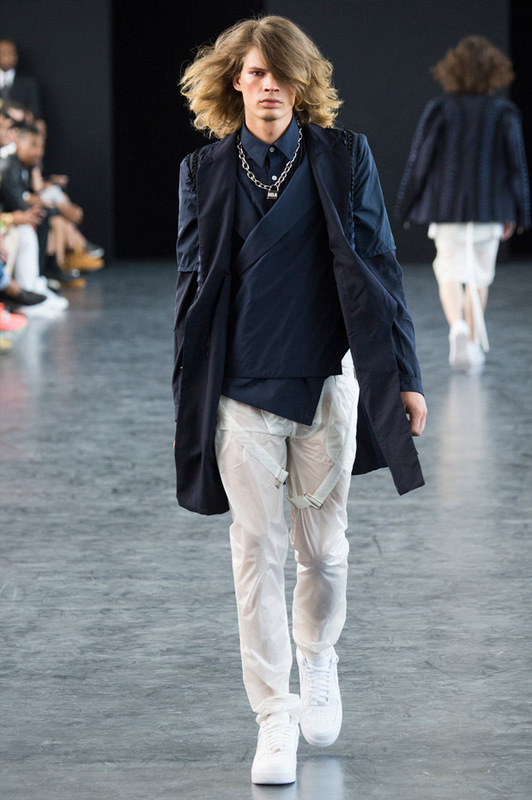 The casting is essential in each Hood by Air show – this time again it gives a particular flavour to the clothes. 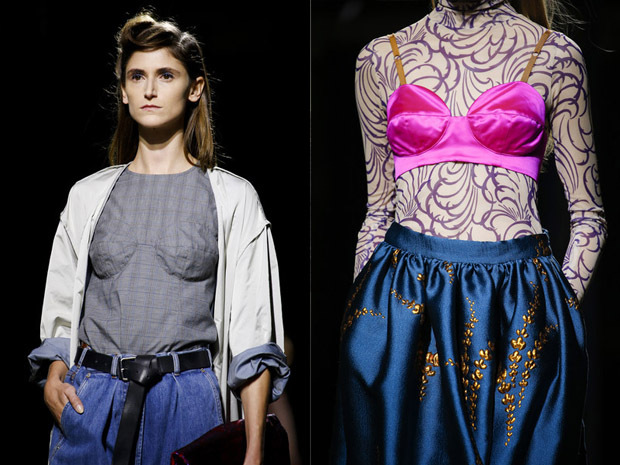 With the aid of Amy Farid (hairstyling) and Inge Grognard (makeup), the beauty was impeccably solved too.